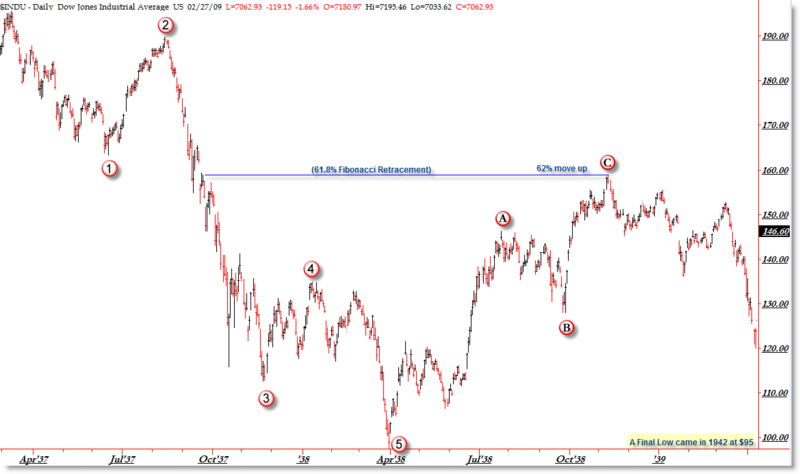 What happened with Dow 32000? The market is climbing again. The Earl and MoM indicators are going up, but the slower Earl2 (orange Line) is still high and going down. This suggests that the market needs more time to digest the October rally. 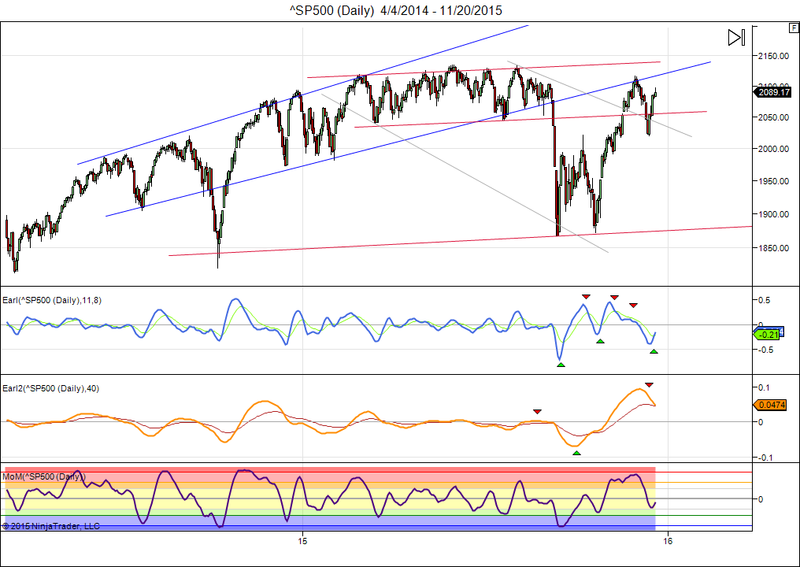 I am looking for the S&P to stay sideways in the 2000-2100 range for several more weeks. The Dow needed to climb to 20000+ to catch up with the 1920s trajectory. That clearly hasn’t happened. Of course that doesn’t mean we will not get any blow off rally to end the bull market that started in 2009. In the 1920s the final parabolic move didn’t start until the Fed started raising interest rates. Sooner or later we are going to find out if that repeats itself this time. This entry was posted on November 23, 2015 at 2:18 pm	and is filed under Financial Astrology, Market Commentary. 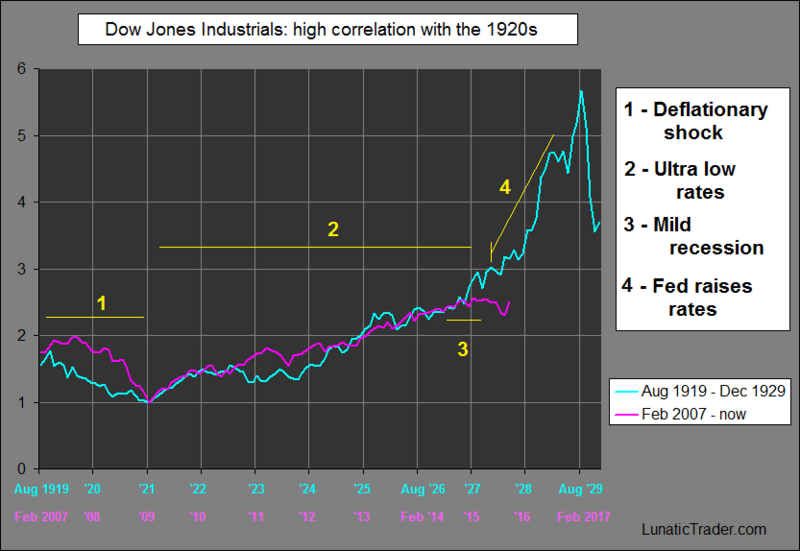 Tagged: 1920s, Dow 32000, lunar cycle. You can follow any responses to this entry through the RSS 2.0 feed. You can leave a response, or trackback from your own site.